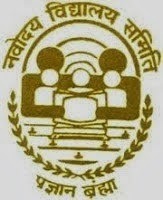 Navodaya Vidyalaya one the leading and autonomous organization of ministry of HRD department of school education literacy government of India. NVS now published the notification for the recruitment of Posts Graduates Teacher PGT and trained Graduate Teachers TGT for various subjects. . Application forms are invited online through the official website of Navodaya NIC. There are total TGT posts are 423 and PGT posts are 514 including all categories. Selection procedure: will be based on through written examination, followed by an interview test. Application form fee : rs 560 , and no form fee for SC/ST/ PH/ and women candidates. How to Apply: interested candidates are required to apply online through the official website of Navodaya Vidyalaya Samiti which is www.navodaya.nic.in and open the link 'Recruitment of Teachers in NVS - 2014'. Thereafter, open the Recruitment Notification titled as ‘RECRUITMENT OF PGTs & TGTs in JNVs - 2014'.